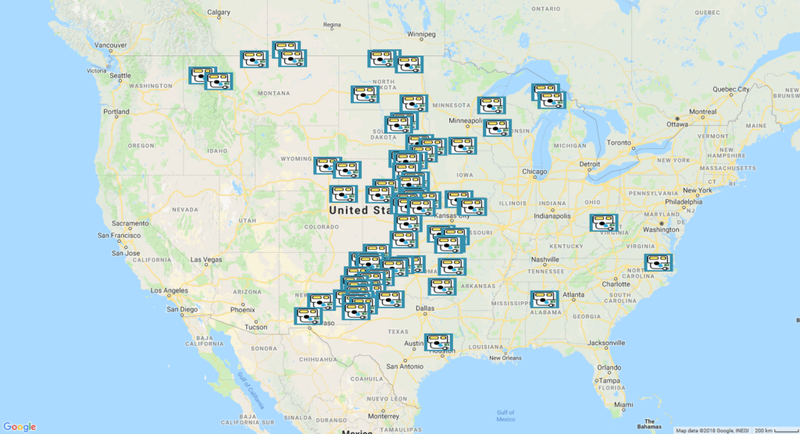 I have shared many times how I am compiling a national database on free places to camp or boondock in anticipation of that day when my wife and I have the opportunity to RV to the Midwest and East Coast. I have also shared how the farther east you travel, the more difficult it is to find areas to camp for free. Imagine my surprise when I stumbled across this website that not only lists free places to camp across the country but that the sites listed include free utilities—many of them full hookups! Many of the places limit how long you can stay for free from one to several days, but free is free!!! Most of the campgrounds are located in small cities in the Midwest and operated by the city in the hopes that you will stop and patronize their city, while others are operated by casinos with the hope you will stay and donate to their slot machines, but in either case they are a great option for an overnight stop along your route. With most of them providing free electrical hookups, these parks would be especially useful during hot weather when you need to operate your RV’s air conditioning. While I haven’t had the opportunity to research all 78 listings on the website, the ones I did do a little research on confirmed that they are operating and offer free overnight stays with utilities! 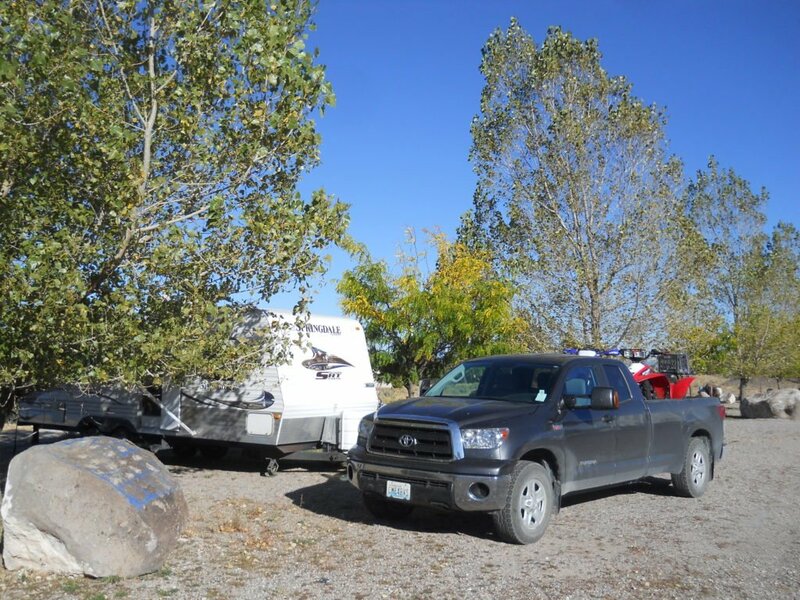 Click here to visit the website listing the free camping locations. Click here to watch a Youtube review of one of the parks by a fellow RVer. 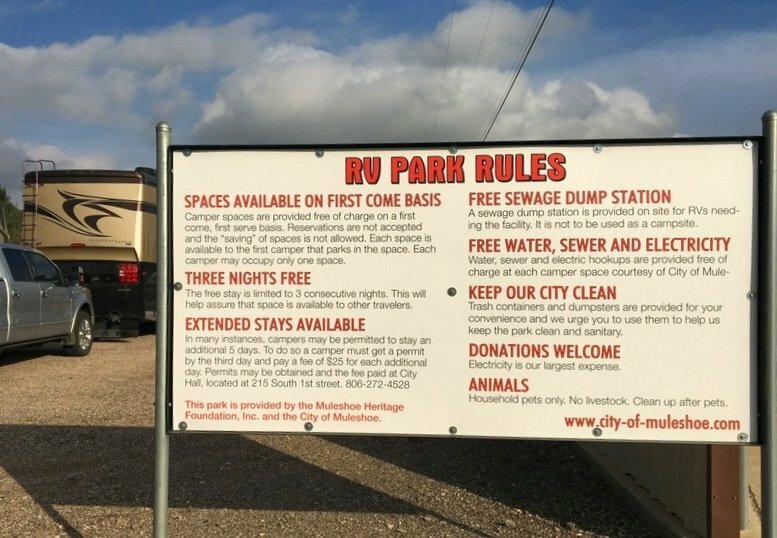 When you visit one of these parks, be certain to thank those responsible, be a good camper during your stay and leave the campground better than you found it when you depart. Also be sure to research the RV parks and campgrounds on Campground Reviews. Camping for free with utilities, an adventure in RVing this thrifty ole Norwegian can get excited about! If you have experienced staying at any of the parks listed, please share. Wondering if there is such a site for free camping in Canada, specifically British Columbia? Don’t necessarily need any hookups.